Covering all aspects of DCC and even DC and AC, MRC decoders bring model railroading to life. With all 28 NMRA functions and unique in all the world, MRC's incredibly small, one piece, dual mode, N-Scale Brilliance™ onboard diesel sound decoders with mounted speakers enable simple drop-in replacement... unheard of for this scale. MRC’s full range of sound decoders & (included) speakers from N through G scale, steam and diesel, early & late, with the most amazing sound quality & lighting add the realism and reliability that modelers demand. 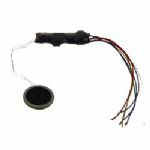 If sound isn't required, MRC has an array of onboard directional decoders from N through G scale that will power your locomotives like never before… and coupled with MRC's accessory decoders, layout functions like turnouts and lights can be activated from the palm of your hand. 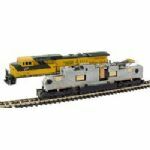 Functional with all manufacturer's DCC systems, and of course MRC’s easy to use Prodigy Express & Prodigy Advance DCC systems, MRC's latest 28 NMRA function decoders are a perfect match for MRC's Prodigy Advance2 "squared" DCC system.